The Shamanim 101 training was wonderful. Our group consisted of individuals in different levels of their Shamanistic journey; yet, Chantal worked with each of us to make sure each of us would not only learn all we could in the training but would also have the ability to continue our journeys once we completed the course. If you are interest in Shamanism, this is an excellent place to begin. Holly K. IEMI Reiki 2Bridgeport CT. Thank you so much for all of this amazing information! I had such a great time at your Shamanic Dream workshop. I learned so much and now feel a deep calling towards healing. I would like to work with you in healing and connecting with my higher self. I feel a deep yearning to become my greatest version and help assist in this planetary transformation but I have much inner work to do. I felt a strong connection with what you share. I have been blessed to have had the opportunity to attend classes and workshops with Chantal Guillou-Brennan. Chantal's knowledge of various healing modalities and spiritual traditions, coupled with her attentive and compassionate manner made me feel safe and supported on my first journey into the exploration of consciousness. With Chantal's guidance, I discovered a whole new dimension that has helped me in my daily life. I enjoyed the Shamanism 101 course. I learned how to go 'beyond myself' to explore and better myself. Twice a month, drum circles let me continue to practice what I learned in Shamanism 101. I highly recommend this course to anyone seeking to learn more about themselves and the world, in ways that move you outside the box. I really believe that this course has helped me with lucid dreaming, as well! Chantal is a wonderful teacher who will guide you and help you grow. This course is the foundation for other courses that she teaches! Thank you for the Shamanism 101 training. It was truly a deep and intense experience which I found to be fascinating and emotional. Your leadership and your knowledge was very helpful in guiding us along in our journeys. I learned so much that I never knew existed. looking forward to learning more! Chantal's facilitation of exploring alternate/unexplored realities through breathwork, visualization, drumming and sound is fun, easy and light hearted. She shares generously and freely a vast knowledge of internal landscapes she has journeyed within and the resources to duplicate the field in a safe supportive environment. I so look forward to more opportunities to play in these unified fields in Love. 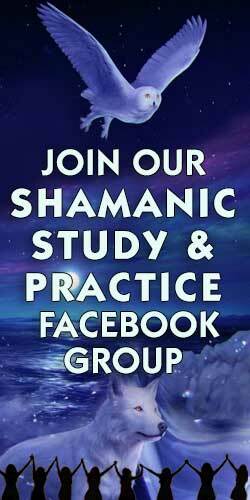 SHAMANISM 101 REGIST. Select your date on the form. PSYCHOPOMP REGIST. Select your program on the form. ELEMENTAL HEALING REGIST. Select your program on the form. DREAM THERAPY REGIST. Select your program on the form. CEREMONIES/RITUALS REGIST. Select your program on the form. MUNAY KI RITES REGIST. Select your program on the form. ELEMENTAL HEALING DESCRIPT. Select your program on the form. CEREMONIES/RITUALS DESC. Select your program on the form. MUNAY KIDESCRIPTION Select your program on the form.